The only thing worse than finding a rat in your house is NOT finding a rat that has died in your house. An ‘out of sight, out of mind’ mantra might have you thinking that as long as you don’t see any rats, you’ve got nothing to worry about. Unfortunately, household pests don’t just disappear. If a rodent dies somewhere inside your home, the lingering smell will be an unpleasant reminder. Natural pest prevention tips will help you stop this stinky problem in its tracks! Rats are creatures of opportunity; they’re not out to get you and they don’t hold a grudge. They just want a safe place to call home with plenty of food to eat. Most rats and mice have poor eyesight, but a highly developed sense of smell. Rodents will use their sense of smell to find food from great distances, and to detect danger before entering new territory. Homes and buildings that leave garbage bags out or in uncovered cans are inviting to rodents because this is an easy food source. 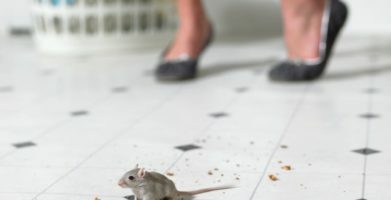 Contrary to the idea that a bigger animal will scare a rat away, pests are also attracted to homes with pets because they will happily eat dog and cat food. Cluttered areas offer plenty of hiding places for pests, so garages, storage spaces, and other places where they can find cover are quickly infested — by the time you realize there is a problem, these pester some intruders have already made themselves at home begun breeding. 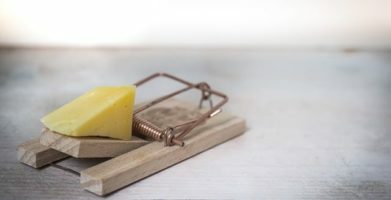 Since rats only need an opening about the size of a quarter to enter a home or building, apartment complexes, older construction, and warehouses are easy targets. How to keep rats out. 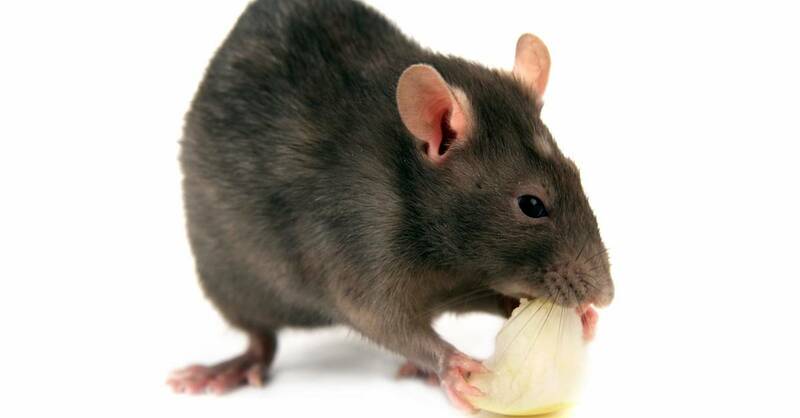 If you do not create the opportunity for a rat infestation in your home, you may never see a rat or have to worry about other problems linked to rats like rodent related diseases, property damage or foul odors. Following our three step plan will limit the prospects for opportunistic rats and other household pests. First, clean up the things that attract rats like food, water, and clutter. Store open food packages, leftovers, and pet food in air tight containers. Only set out dog or cat food and water when feeding your pet instead of leaving full dishes out all the time. Next, seal up potential entry points. Rats only need a half-inch sized opening to get inside. Block entryways by covering chimneys and dryer vents with mesh metal grates. Check for holes, gaps or cracks along a building’s foundation, doors and windows; fill any openings with steel or copper wool and cover with silicone caulk. Finally, pouch up by placing Stay Away® Mice pest prevention pouches anywhere needing protection from rats or mice. EarthKind’s all natural, scent based repellent overwhelms the sense of smell rodents rely on with a unique blend of essential oils that most people enjoy. Rodents will avoid any area where the fragrance is present. How to get rid of dead rat smell. Review CDC guidelines for cleaning up after rodents to protect yourself against diseases carried by rats and mice like Hantavirus. Air out the area by opening windows and using fans. If there are any rodent remains, find and remove them. Make sure to wear protective gloves. Clean areas where nests, droppings, or other signs of rodent activity were present with a disinfectant. Place Stay Away® Mice pouches in the area using 1 pouch per 8 square feet if the rat problem persists, or just 1 pouch per 125 square feet to prevent future problems. Great article! I see alot of websites recommending products like the odor absorbing charcoal bags, do you think these actually works? I’m having weird odor at home recently and i suspect there’s a dead ‘rodent’ or something rotting in the roof. Pls help! Activated charcoal should help absorb the odor and filter the air. We also carry a line of air fresheners that contain zeolite, another naturally occurring substance that can filter and freshen air. In addition to getting rid of the stink, make sure that you take steps to prevent any more rodents in the walls and around your home by sealing potential entry points and keeping rodent repellent in garages and entryways. Rats in urban areas are a challenging problem. The most effective solutions come from communities working together, using an integrated pest management plan to remove pest food sources and keep shrubs and debris cleaned up. Thanks for reading! Fresh ground coffee works really well. If they have died in a wall where you can’tget to them, is there a remedy for the odor? Unfortunately, time is the best remedy. If possible, run fans and open windows to improve the airflow. Look for odor absorbing materials like zeolite, activated charcoal or baking soda instead of trying to cover the smell with air fresheners. 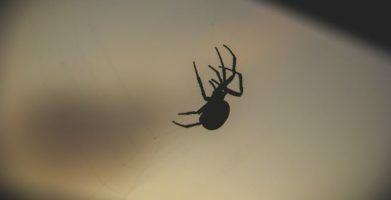 Cluttered areas offer plenty of hiding places for pests, so garages, storage spaces, and other places where they can find cover are quickly infested -- by the time you realize there is a problem, these pester some intruders have already made themselves at home begun breeding. Since rats only need an opening about the size of a quarter to enter a home or building, apartment complexes, older construction, and warehouses are easy targets. First, clean up the things that attract rats like food, water, and clutter. Store open food packages, leftovers, and pet food in air tight containers. Only set out dog or cat food and water when feeding your pet instead of leaving full dishes out all the time. Next, seal up potential entry points. Rats only need a half-inch sized opening to get inside. Block entryways by covering chimneys and dryer vents with mesh metal grates. Check for holes, gaps or cracks along a building's foundation, doors and windows; fill any openings with steel or copper wool and cover with silicone caulk. Finally, pouch up by placing Stay Away® Mice pest prevention pouches anywhere needing protection from rats or mice. EarthKind's all natural, scent based repellent overwhelms the sense of smell rodents rely on with a unique blend of essential oils that most people enjoy. Rodents will avoid any area where the fragrance is present. string(32) "How to Get Rid of Dead Rat Smell"